As you all know by now after watching last weeks episode, there was a 6-year time jump that occurred as Rick (Andrew Lincoln) was flown to safety, and we were introduced to a group of survivors that looked completely helpless. Trapped in a field, surrounded by walkers an unlikely saviour came to their rescue. Judith, Judith Grimes. The characters that we are introduced to are Magna, Luke, Yumiko, Connie and Kelly. Now as we see as they’re trapped in the field, they look to Magna for an idea. Which tell us she is the leader of their group. So let’s dive into her background first. In her early 30s, Magna is a character from the comics and is now being introduced into the TV series. She is immensely tough, that leads unwillingly (Just like Rick Grimes). Being dangerous, knowing how to weave her way through problems whether that to kill walkers or humans. In the comics, she describes her self as an unpredictable animal as dangerous but also very caring. Interacting with certain characters and Michonne and Judith will be very interesting to see with this personality. Doing anything for her group, she is known as a father figure. Looking out for them, caring for them, teaching as well as killing for them. So this shows us that she shares the same strengths that Rick had but in a female form. This will be very interesting to see as her character develops this season. Little is known about her background before the apocalypse, but we do know that she was a truck stop waitress. In the episode “Who are you now?” We are shown her personality. 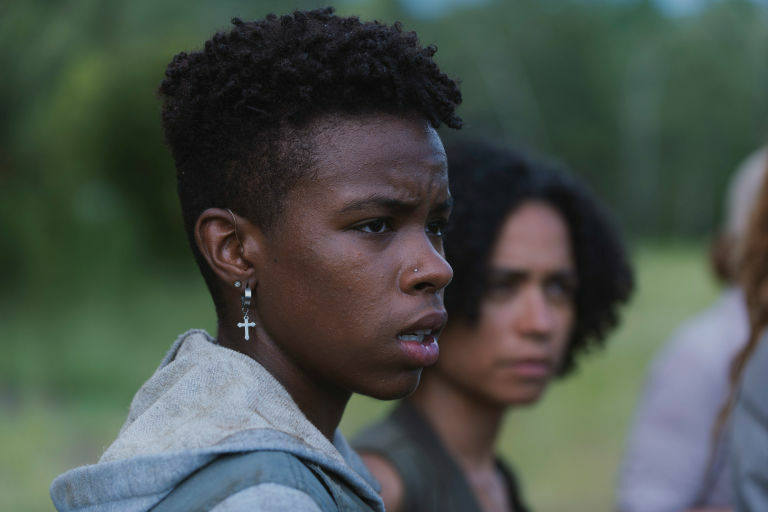 Being fierce as she speaks with the head of security Michonne (Danai Gurira) we see her hide a prison tattoo that she lied to the council about, questioning their stay at Alexandria. After taking Yumiko’s necklace from the infirmary she attempts to attack Michonne at her house before seeing that she has a child, no not Judith. RJ! Yes, we’ve now had confirmation onscreen of Rick and Michonnes baby that they hinted at before Ricks departure. Seeing this, Magna gives up the weapon to Michonne showing her caring side. 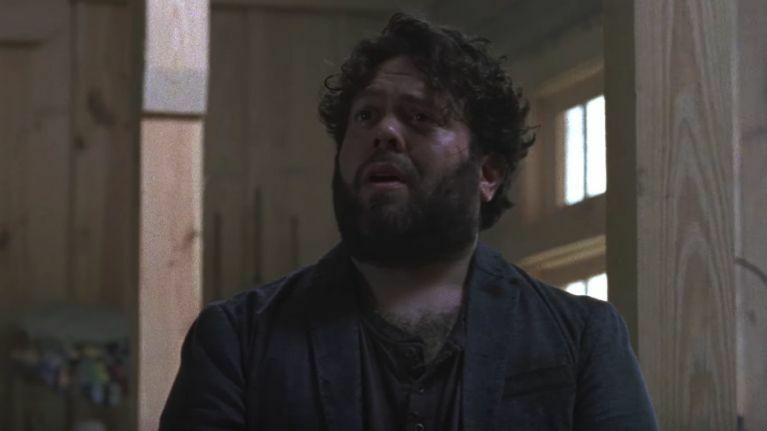 Played by Dan Fogler, Luke is in his early 40s and a member of Magnas group. He comes across as another voice of reason like we’ve had previously (Hershel, Glenn, Alden). Believing in safety in numbers, he keeps the other members of his group close. Unique to the show (Besides Beth and Aldens ability to sing) Luke is heavily engaged in the musical side of things. His personality comes with a musicians background as before the apocalypse he grew up as a music teacher for many years. In his first official appearance in Season 9, Luke shows his personality. He explains that he was in the right place at the right time, and managed to find the rest of the group down to luck. He still claims to be a music teacher when asked: “Who are you now?” By Aaron (Ross Marquand) as they attend their council meeting. We can see that Luke is true to his word, and always tries to find the peace within a situation. Yumiko, played by Eleanor Matsuura is in her mid-30s and from the United Kingdom. Very little is known of her pre-apocalyptic background but what we do know is that she lived in the United Kingdom, but why is she over in the US? Hopefully, we find out soon. Yumiko is a fearless warrior, with her main weapon of choice being the bow. Being a skilled archer is a very good trait to have in the apocalypse, silent and deadly. Just look at Daryl! We also know that she is a protector, she fights for what she believes in but always listens to what others have to say. Being loyal to the group, she is also loyal to her girlfriend, Magna. Yumiko would put herself first for the rest of the group if they were in danger, showing how much she cares for them. This shows that she considers them her family. In the episode “Who are you now?” She has little appearance as she’s recovering in the infirmary, but when she does speak we see a thankful believable personality. Getting onto my favourite character of the new group. Portrayed by Lauren Ridloff, Connie is a survivor of the apocalypse in her late 30s. Being deaf (In real life too), she has learnt to become extremely intellectual as well as independent to live in this world. Being deaf, she’s had to adapt the world and use her other senses much frequently as she’s considered the eyes of the group that we will see in future episodes. Her way of communication is through sign language, this is considered a strength for certain situations where silence is a must. Before the apocalypse, Connie was a confident journalist. Her sister Kelly, who I’ll get onto next explains in the episode “Who are you now?” that she took a number of big politicians down and exposed them for who they were, putting them behind bars. Being the sister of Connie, Kelly (Angel Theory) is a late teenager that’s very protective over her group. Especially Connie. She is a strong-willed, skilful fighter with a signature weapon of a slingshot to kill her enemies. We also see her in the episode “Who are you now?”, like Luke to bring a sense of balance to the group. She seems to be peaceful, not wanting to put her group in jeopardy as she talks down Magna from causing a scene at Alexandria. Although she comes across confident, she isn’t always listened to by the group as she is the youngest. Her past isn’t really known apart from that we know she has a sister who she’s with now, Connie. We also see her in 9×06 showing clear translation to the rest of the group, so she clearly knows sign language. Hopefully, we see other members of the group learn it too, as it will be a good thing for Connie. Very little is known about Bernie, however, we do know that he/she was always wanting to find a place for the group to settle down in. He/she was killed by walkers just before Judith came to the rescue.